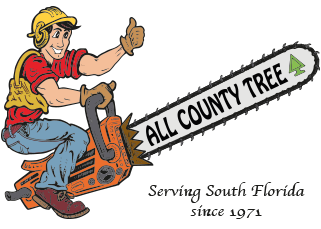 All County Tree specializes in tree service and landcaping jobs for all of South Florida areas. From wind and storm damage, to dead tree removal, we do it all. If you have a tree that you think needs to come down, just give us a call. We will come out at no charge to make an assessment and give you an estimate of what removal of your tree will cost. Do you have an old unsightly stump in your yard that you want to have ground up? Give us a call. We have the equipment to complete any tree job you have. Is there a dead Ash tree giving you problems? Call us! Do you think your tree is too close to power lines or is too tall for a tree trimmer to reach? Not for us! We love those kinds of jobs. 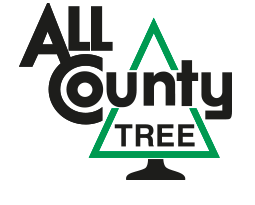 All County Tree has certified tree expers and have been in the business since 1971! A properly fertilized lawn is essential in maintaining a healthy turf stand. At All County Tree we use only phosphorous free slow release fertilizers on your lawn. Slow release fertilizers break down slowly over a longer period of time feeding your grass continually and reducing a surge in growth commonly associated with liquid applications. Let our experienced professionals create distinctive landscapes and transform your property to fit your lifestyle! All County Tree's team of designers, horticulturalists, land care specialists, masons, lighting specialists, nursery professionals, and various contractors, take your project from inception to completion, managing all aspects of construction with consistent quality and professionalism. Copyright © 2013 All County Tree, Inc. All rights reserved.